Poet, translator, and polemicist Jerome Rothenberg is the author of more than 80 books of poetry, and has edited or co-edited ten major anthologies/assemblages, including Shaking the Pumpkin, Technicians of the Sacred, and three volumes of Poems for the Millennium. In his lifetime, Rothenberg has lived with the Seneca Indians, and was the first to bring major works such as Paul Celan’s “Death Fugue” into English. His own poetry has been translated into more than a dozen languages, ranging from French to Lithuanian. “I celebrate / reversals,” Rothenberg writes. While he has remained adamant about investigating a counter-poetics—a “re-visioning” of works by some of the most recognized poets in history—he also established and nurtured the study of ethnopoetics, which has created a forum for tribal poetry, song, and artistry, some of which may have never otherwise existed in print. Rothenberg’s career as an editor began around 1960 when he founded Hawk’s Well Press, which produced a 3x4 inch, 16-page magazine called Poems From the Floating World. Nearly fifty years later, Rothenberg and I sat down during Naropa University’s Summer Writing Program to discuss his journey from mimeograph to Internet, from 16 pages to 1600. 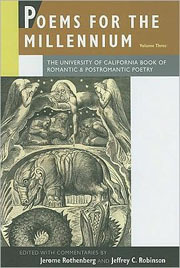 Click here for reviews of Poetics and Polemics and Poems for the Millennium, Vol. 3. Sarah Suzor: Having come to an established point in your career, has your motivation for writing poetry changed? Do you still approach writing poetry with the same intention? Jerome Rothenberg: I think, I think, that my underlying motivation is the same or similar, although I write differently than I did. One of the things I am presently engaged in is a collection of uncollected poems, which is similar in its scope to doing a full volume of collected poems. So I am in the process of going back into the late 1950s and arranging my poems from then and now in a roughly chronological order, and in doing that I can see the way the work has changed. From very early on some of the other activities, like the anthologies and the work on ethnopoetics, have taken up a lot of my time, energy and interest. Until the mid to late 1960s anthologies had not entered the picture as what they would come to be: a place of composition. I came very quickly, once I got started with them, to think of the anthologies, beginning with Technicians of the Sacred, as large, epical constructions or compositions. So, for me, Technicians of the Sacred wasn’t an “anthology” in the old sense because, like many other poets, I didn’t have much use for anthologies. Then suddenly I was commissioned to do an anthology and it opened up to me as a new form, a chance to do something not unlike what I and the others were doing with our magazines, but also sometimes in our poems. There were opportunities in the 1960s for poets or groups of poets to make their own magazines; it was in the air. A lot of self-publication was going on at that time, and I was part of it. The ethnopoetics represents something that was an interest for me from the first time I got a look at transcriptions and translations of American Indian poetry in certain WWII and postwar anthologies of the 1940s and 1950s. By the end of the 1960s ethnopoetics was the name I gave to it, and having named it, it was something for which I carried some responsibility. That has continued to be an interest. Things that have been important to me earlier along I tend to carry with me into later work, though they may be playing less and less of a role in what I’m doing. Even up to the latest anthology, Poems for the Millennium Volume Three, there’s a whole area of ethnopoetics that comes into the book. Other things that were concentrations of mine early along continue to show up in the poetry, but they are transformed or concealed because I am writing poetry in a different way. There was a time when all of us knew very little about chance operations except perhaps those games played by Surrealists and Dadaists. Knowledge of that came to me in an ongoing discourse with Jackson Mac Low, who, with John Cage, was bringing that to our attention. I never wrote chance or aleatory poetry in the way that Jackson did, but I found it useful to compose poems with devices that drew a vocabulary and structures from previous poetry or from sources outside of poetry. That ties in also with my interest, going back a long time, in translation as a form of composition. SS: Lewis MacAdams once said, “One does not make a living out of poetry, one makes a life.” He was speaking about finances, of course. Do you think you are somewhat of an exception to that rule? JR: You mean making a living out of poetry? (Laughs) In poetry itself there’s not a living to make. There are obviously offshoots of poetry, not only for me but also for many of us, which can provide a livelihood. There are grants, or very commonly teaching, in which the validation comes from the work as a poet. I had a tangential relationship to teaching; in the beginning it did not make for much of a living. Back in New York in the 1960s I was a one-man English department for the Mannes College of Music, where I was also able to provide adjunct work for David Antin, Diane Wakoski, Jackson Mac Low, and maybe a couple of other people. It paid very little, while at the same time I was watching friends of mine going into the actual universities and making what seemed like lots of money. But there was also a demand on their time, whereas with this lesser teaching there was less demand on mine. Also, my wife and I were part of part of a generation that was learning to live minimally (or so we thought). The idea was always that one was committed first and foremost to poetry, which is not only the making of my own poems, but some notion that there was a responsibility to the life of poetry beyond that. I hope that's what the anthologies and the efforts I’ve made to expand the field of poetry are about. JR: The Internet is overall advantageous. To me, Internet publication—blogs, websites and so forth—is the equivalent to what in the 1960s we called the mimeograph revolution. And the Internet is available technology, although, I should point out, not available to everyone, but it's very widespread at this point and it allows poets with a niche-audience to publish or disseminate their work and the work of others outside of a commercial nexus. So in terms of the question “do you earn a living through poetry?” the answer is still no, but through the Internet there is the possibility of publication with a minimal financial investment. The expenses of printing a book, and all the marketing and distribution questions are taken out of the equation. Before the Internet one would have to contemplate, “Where are the bookstores that will take these books?” That was part of the adventure of small press publishing and part of the frustration. SS: The Internet’s instant accessibility takes away the tangibility of publishing, and therefore eliminates the effort that is put into producing that tangibility. Basically, there are no restrictions in publication these days. Do you feel this has made publishing too easy? JR: In a way it has. Obviously the Internet gets flooded with self-published poetry. Although, that must have been the case during the mimeograph period also: there was a lot of, if you look at it in those terms, second-rate poetry that was being produced and distributed. I think that no harm came out of that. A lot of very wonderful things happened during that time because the poets who were doing interesting work would have been cut off from publication if they were going to depend entirely on those who I guess I was calling the culture brokers—the commercial publishers, trade publishers, university publishers, and so on. For a while in the 1960s the trade publishers began to take an interest in the so-called alternative, experimental or avant-garde forms of poetry because they thought there was something in it for them. It didn’t last for long, however. SS: In the introduction to Poems for the Millennium Volume Three you say that you and Jeffrey Robinson feel “freed here and elsewhere from the need to conform to canonical restrictions.” Could you explain how you see those restrictions—the guidelines that you were able to avoid? JR: If we just think in terms of anthologies, there is a tendency for anthologies to build on anthologies; that's part of the process of canonization. Not only are certain poets identified as canonical figures, but there are also anthology-type poems. More and more, what might be the massive work of poets like Shelley, Wordsworth, or anybody else for that matter, gets reduced to the canonical favorites: the certified poems of the certified poets. In our case, as a result of how I learned to operate with a press like the University of California Press, and because the first two volumes of Poems for the Millennium were successful for them, we had an absolutely free hand in what we were doing. With Volume Three we were going into much more academic territory, much more the territory of the canonical than what Pierre Joris and I had encountered with the first two volumes. But for Jeffrey Robinson and me there was none of that canonical rigidity, and we found ourselves free to include any poets and any poems by those poets we wanted. We were really looking for new configurations. In Volume Three there are not as many surprising poets in the three sections of the book that are chronologically ordered, so the familiar figures are there, but, in some cases—most cases—with an unfamiliar presentation. Then there are some others that are uncommon figures, who are, to our thinking, doing something extraordinary for their time; and there are some other special sections that are full of surprises. But all in all there was no one looking over our shoulders and saying this or that cannot be done, so it was a very happy circumstance. I don’t think either Jeffrey or I felt any inhibition; in fact, if anything we were eager to break down certain barriers. SS: What about the process of anthologizing is different when you set out to create an anthology of contemporary work? JR: If you’re speaking for a group, say one of the language poetry anthologies, you know who the participants are and you can do a pretty good selection from the work of each of them. You might however forget or disregard the work of one or two and there could be unhappy or bruised feelings coming out of that. That much is fairly obvious. If you set out to do an anthology as I guess we were doing with Poems for the Millennium Volume Two, where we were not working with a particular group, there is the pain of selection, especially because a volume like Millennium was as wide-reaching as it was: a global anthology that included poetry from not only the United States, which is tough enough, but also all of Europe, Asia, Africa, South America, the Caribbean. All of that had to come into the picture, but very schematically. We made what choices we could and certainly made some choices that we would handle differently if we were doing it again. One thing for sure is that we couldn’t overdo the American part of it. It couldn’t be 80 percent United States poets and 20 percent the rest of the world—not as a matter of diversity but as an acknowledgement of where the experimental action really was. Some people may still feel that everything of real importance was happening in America, but we just didn’t feel that way. With that in mind, for example, when it came to dealing with the San Francisco/Berkeley Renaissance, there were three who comprised it in the narrow sense: Robert Duncan, Robin Blaser, and Jack Spicer. We figured that we couldn’t or shouldn’t include all three of them, so we decided to go with Duncan, who was absolutely crucial for both Pierre (Joris) and me, and either Blaser or Spicer. So we finally went with Blaser and left Spicer out. But, oh lord! (Laughs) Some people were simply unforgiving about that, but what can you say? Things like that come up, and they're going to come up again and again, when you're dealing with contemporary poetry. With the nineteenth century it’s different, it’s a different kind of territory, but when you're into the contemporary you get that, and my response has been: well, you know, everybody should do their own anthology; this is simply the one we did. David Antin's definition of the artist is “a person that does the best he or she can,” so that’s it: you do the best you can with what you have. It has recently occurred to me in fact that with the Internet everybody can do their own anthologies. An anthology is literally a collection of flowers, so let a thousand flowers blossom, like the man said; flood the Internet with anthologies. One would think [Harold] Bloom’s romantic image of the male writer in an age of belatedness might be exotic or irrelevant for those of us to whom language appears devoid of precedents created in the image of a woman, low on materpieces. Instead many of us have found it enviable—a condition to emulate. Hence, the effort to establish a rival, mirror-image woman’s canon. I am curious how you approach giving a voice to these underrepresented groups without, as Retallack says, “establishing a rival, mirror-image canon,” and without perpetuating an “old” archetype. JR: If I were doing a contemporary anthology, at this point, it would probably be top-heavy with women. My sense is that, at present, you can think of women as being in the forefront of avant-garde, experimental poetry in the United States. I can't speak about outside the United States, but here, where we are, a lot of major texts—books, poems, mixed and intermedia—are being created by women. If you go back into the nineteenth century, as we did with Poems for the Millennium Volume Three, certainly there were many women writing and publishing poetry then, and there's certainly been an attempt to re-surface a lot of that: anthologies in many languages of women poets of the nineteenth century. ForVolume Three, which is an anthology of inventive, groundbreaking nineteenth century poets, if we focused (as we had to) on the experimental or groundbreaking aspects, we were not left with that many women. Could we break our exploration of avant-gardism to bring more women into the picture? By thinking in those terms, which was truly what the series was about, we may have deluded ourselves, but I don’t think so. SS: I guess my question is more centered on your work with Technicians of the Sacred or Shaking the Pumpkin, where you exhibit work from an underrepresented population of writers. In these books you are able to maintain the integrity and the importance of the work by avoiding this notion of creating a rival canon. I’m interesting in your techniques when you approach this territory. JR: I don't like the notion of establishing yet another canon. I know what Joan is saying in relation to the writing of women, and it would be interesting. What would one do then? A canon limited to women? It seems as arbitrary as a canon limited to men. SS: I think that's exactly what she's saying. JR: Some of that kind of poetry from Technicians of the Sacred and Shaking the Pumpkin—American Indian, Asian—comes into Volume Three of Poems for the Millennium. We arbitrarily have a section called “Some Asian Poets” and another, largely ethnopoetic section called “A Book of Origins.” It took a little thinking on our part: should we do that or shouldn't we? The Origins section was filled with ethnographic and archaeological material that had come in along with Romanticism (or maybe because of it), but with the section of Asian Poets we intended to have it act as a corrective, to show parallel areas in the nineteenth century (Chinese and Japanese and Indian and Persian) outside the reach of Romanticism as such. But also one of the two terminal poets—at the end of the nineteenth century—was Yosano Akiko of Japan, who was already aware of symbolism, say, as a form of post-Romanticism. And because of the way we named our sections, she appears in the subtitle of our final chronological section: “From Hopkins & Nietzsche to Yosano & Apollinaire.” So it's an Asian and woman poet at the end of the book. SS: Say you’re living in 2109 and compiling material for Volume Four of Poems for the Millennium—what would you say is the most prevalent element in contemporary poetry that is being trivialized or overlooked? JR: I think we still have to come to terms with technology and poetry. We also have to come to terms with any kind of sorting out of the impact of the Internet and the forms that come from it, for example, audio or visual components that serve as alternative ways of presenting or perhaps making poetry. Prior to the Internet we could talk about poetry and performance by describing the performances; we could give stage directions, create scores, write accounts in retrospect, but there was no ready way of disseminating performance beyond its actual occasion. More than recordings or films, which were hard to come by, the Internet offers the possibility of a new and enhanced form of dissemination. What would be the impact from all of that a hundred years from now? It doesn’t matter but I sometimes think about it, and then I have to take account of the intervening 99 years and whatever changes outside of our control would have taken place by then. Looking into the future, though, there are also dystopic views about the future of poetry itself, which one doesn’t need to brood about, though there could certainly be a discussion about whether there is a future for poetry, or a discussion about what kind of poetry there might be a future for. 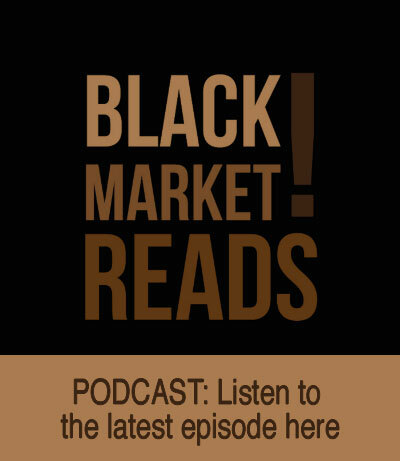 Poetry, as we're speaking of it in this interview, remains very much a niche-phenomenon. There are other, more popular forms of poetry than ours, and occasionally there’s an interchange between what we're talking about here and those more popular forms, but there's also a division, and so 100 years from now, someone might ask, will it all be a lost art? I certainly hope not, but it certainly comes to mind. You probably shouldn't worry about that, and I shouldn’t either. SS: There are no talent scouts in the field of poetics; no one is actively seeking out the next “poet cash cow.” Having said that, how important is it that the poet contribute to other aspects of the field of poetry, for example, creating small presses and magazines, etc. JR: I think that remains essential; I would not give up on that under any circumstances. SS: Is it one of the most essential elements to a poet’s future? JR: I think that one should make every effort to keep alive an active, non-commercial tradition for poetry. When you say “no talent scouts” that brings to mind a number of things. You know, here we are at Naropa’s creative writing program, and there’s another creative writing program a few blocks away at the University of Colorado, and hundreds throughout the country. Talent aside, it’s a kind of training ground for poets that hadn’t existed previously. There weren’t any schools for poets, although poetry was a part of a certain kind of education (beyond that, of a certain kind of life); you know, poets started writing poetry because they were reading poetry or they were being encouraged to practice poetry in another language like Latin or Greek, as a way to learn their chops. Now, if there's an overabundance of materials today on the Internet, then that must have something to do with an overabundance of poets coming out of the creative writing programs. Personally, I was never in a creative writing program; I never experienced a protracted period of writing for a degree, writing for grades, or for the approval of a poet instructor. I think that students in creative writing programs should be very cautious about that. There can be too much encouragement in one direction, one way of writing, even when the poet in charge isn't intending that. And creative writing instructors are far from the best mentors or models. SS: It seems, with MFA and PhD programs in creative writing spouting up across the country, credentials are now, more than ever, increasingly important for the poet and the poet’s career. JR: Do you mean credentials to get into the creative writing programs or the credentials that creative writing programs give you to make the livelihood that’s offered to poets and writers who teach in creative writing programs? SS: Both. It’s becoming a world of credentials. JR: On the other hand, faculty may inevitably feel a certain genuine responsibility toward their students. Although faculty and students have come together almost fortuitously, certain favors are going to be asked for and extended. In all good conscience you want to do the right thing for people who have studied with you and who are in a competition with others who haven’t. That part of it is a little bit like the talent scout you were asking about, or the literary agent; it’s not without that aspect. On the other hand there's nothing I would suggest in replacement, and I certainly would not suggest disbanding the creative writing programs on that basis. But there's some question too about what you’re actually teaching in a creative writing program, especially in a time that’s gone away from fixed-metric and rhyme and so forth (although I might still prefer to teach them). Maybe, given what we actually do today, poets should be taught (in addition to everything else) to master the Internet and related digital techniques. Now that would be teachable. 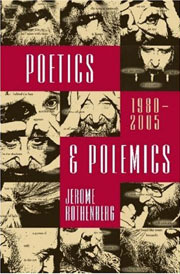 Poetics & Polemics, 1980-2005 and Poems for the Millennium Volume Three (co-edited with Jeffrey C. Robinson) present us with the two poles of a dynamic continuum, giving us a solid basis for understanding Jerome Rothenberg’s unique contribution to poetry. In the matrix of the poet’s mind both defining and discovery ensue, mutually influencing each other through a creative clash and blending. 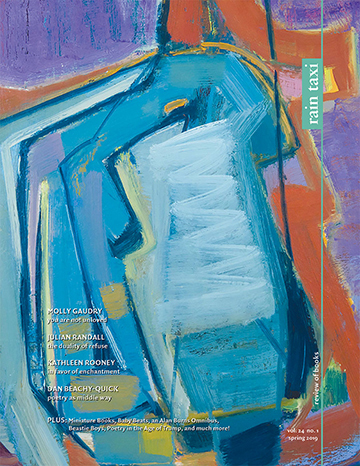 The first of these two titles collects a number of the poet’s prose texts, originally published as prefaces, interviews, or generous commentaries on the work of others; it sharply reflects Rothenberg’s thinking, in its full maturity, on his own multilayered work, on poetics, and on the history of poetry. The second book extends the reach the first two volumes of Poems for the Millennium, those landmark anthologies assembled with Pierre Joris. Indeed, both of these new books are usefully approached in connection with each other, first, and then as they add depth and scope to the poet’s life work. an overall sense that what has characterized the century’s poetry has been an exploration of new forms of language, consciousness, and social/biological relationships, both by deliberate experimentation in the present and by the reinterpretation of the “entire” human past. It is from this world of disruptions and reversals, of dreams, of sacred clowns and shamans, of the marvelous and surreal, as well as from an old and new understanding of the maximally human, that the trickster emerges for us. . . .
. . . the radical transformers and self-transformers (“chameleon poets” in John Keats’s earlier words). 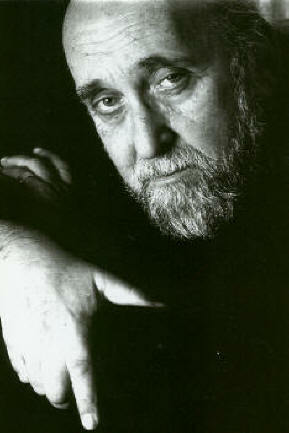 Thus, Rothenberg transforms himself from creative visionary to translator of the works of others to editor to anthologist to performance artist to commentator to rescuer of lost traditions, and so on, shape-shifting both for the sheer joy of it and to present us with a real-life manifestation of the ideas about which he is writing throughout these pieces. The editors’ excellent, probing, and polemical introduction usefully contextualizes a view of Romanticism, the full impact of which has not been sufficiently appreciated by academic interpreters. The political basis for the editors’ conception and choices for what to include are made clear in the introduction, where parallels are drawn between the social conditions of European Romanticism (revolution, class struggle, proto-nationalism) and those of the 20th century. Of course, a highlight of our time has been “ethnic and religious violence.” The anthology is especially strong on the subject of experimentation in poetic forms, as can been seen, for example, in the inclusion of Hölderlin’s “Palimpsest: Columbus,” Solomos’s “The Woman of Zante,” Rimbaud’s “Bad Blood,” and Smart’s “Jubilate Agno,” among many others infrequently anthologized. Also, the rich commentaries and prologues provide context for materials that can be challenging to readers whose sense of Romanticism has been limited to the canonical inclusions of the so-called “great tradition.” An advantage of a work of this scope is that the editors have been able to include many longer selections as well as material heretofore considered outside the canon, whether conceived of formally or in terms of content or medium. Reading Poems for the Millennium Volume Three back through Poetics & Polemics, then, it’s clear that Rothenberg the canon-extender sees himself (and us) as both the “instrument of discovery and the instrument of definition” (Olson). But for him these two processes are not separate. Taking the poet as prototype for human being as creative energy, the joyous, full engagement with experimentation at the maximum pitch of the potentialities of language becomes the most authentic stance one can adopt. Click here to return to the Rothenberg interview. This entry was posted in Uncategorized and tagged summer 2009 on November 21, 2013 by admin.